Pediatric Cardiac Intensivists of North Texas provides expert pediatric cardiac critical care to children in the Dallas-Fort Worth Metroplex and beyond. Our physicians and nurse practitioners bring more than 50 years of combined experience to our patients. Our doctors are board certified in Pediatrics, with additional board certifications in either Pediatric Cardiology or Pediatric Critical Care Medicine. 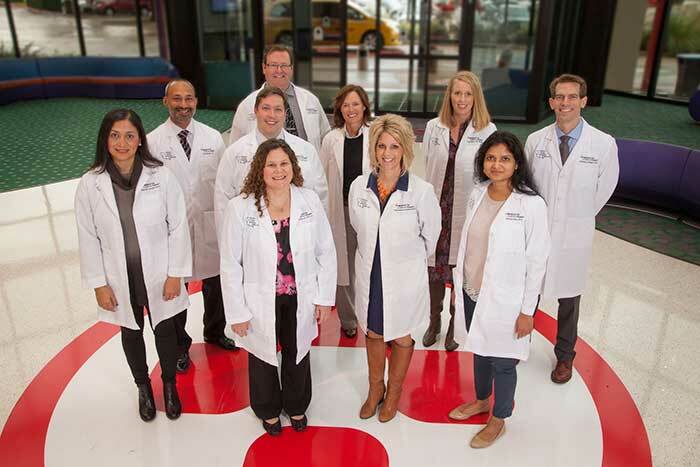 In addition, our physicians have all completed advanced fellowships in Pediatric Cardiac Critical Care. Our nurse practitioners are similarly certified in Pediatric Primary Care and Pediatric Critical Care. Through continuous study, lecturing, and research participation, our staff remains current in innovative management techniques, and invasive/non-invasive diagnostic and interventional technologies. This dedication to best practices allows us to achieve outcomes for our patients which surpass local and national standards. Our affiliation with Congenital Heart Surgery Unit at Medical City Children’s Hospital further enhances the quality of care we deliver by providing a state of the art facility - a new pediatric cardiac intensive care unit that opened in June 2010, and access to a broad array of superb pediatric subspecialists.